These sturdy and re-useable clear vinyl saucers come in various sizes to match most pots. Use them to collect excess water drainage and soil spillage, as well as give pots and planters a flat surface to rest upon. 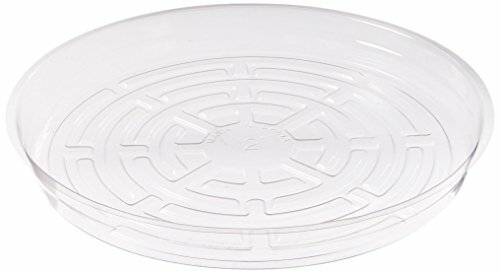 These saucers help keep plants moist longer and maintain a cleaner garden. Plus, their clear color lets you see what's beneath them quickly without lifting or moving.